Out of all of the dsp packs I have (let’s not count), it seems like I’ve used the Flashback paper the least. I don’t know why! I love the colors and fun patterns in this package. So I decided I needed to remedy that situation. 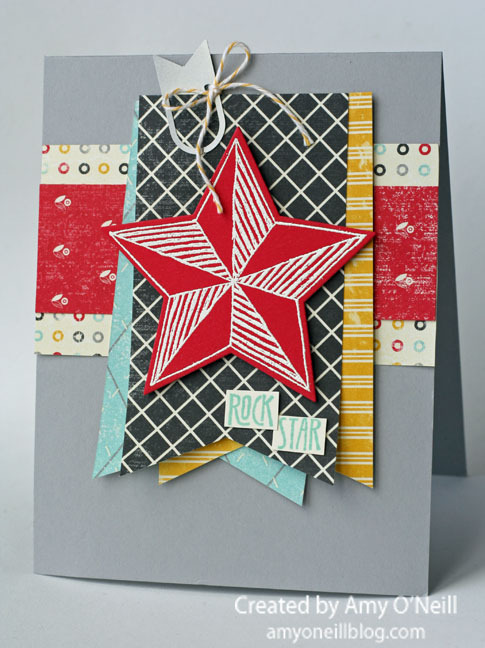 I stamped one of the stars from Be the Star with Versamark ink and embossed it with Whisper White Stampin’ Emboss Powder onto Real Red card stock. I then used one of the coordinating Star Framelits dies to cut it out. I added a little Basics Hodgepodge clip and some Crushed Curry Baker’s Twine for a fun little embellishment. This entry was posted in Be the Star. Bookmark the permalink. 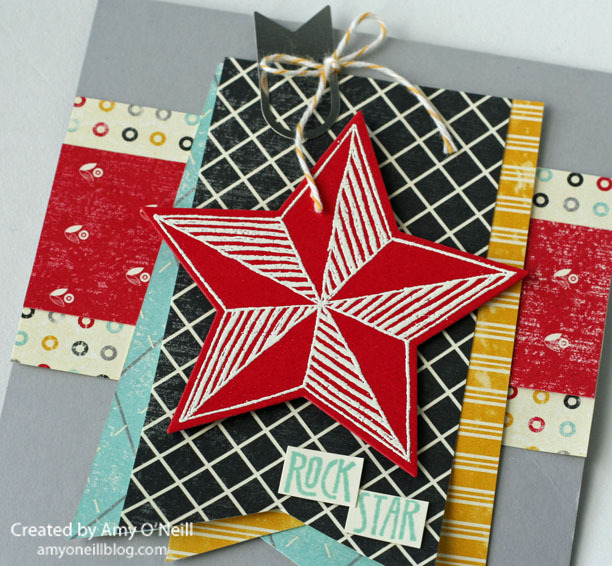 I love this paper…..and you showed it off beautifully! Fabulous card! I didn’t think I liked this dsp pack but you’ve changed my mind!